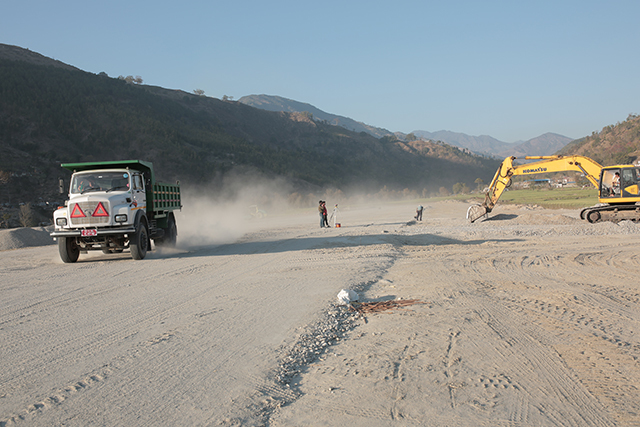 Achham district, which is connected to the rest of the country through an arduous 8 hour journey from the Tarai, will soon revive its airfield in Sanfebagar. Work to blacktop the runway and repair the terminal building destroyed in a Maoist attack in February 2002 are ongoing, and the facility is expected to be ready before the rainy season. However, there are conflicting views about whether the airport should be opened. 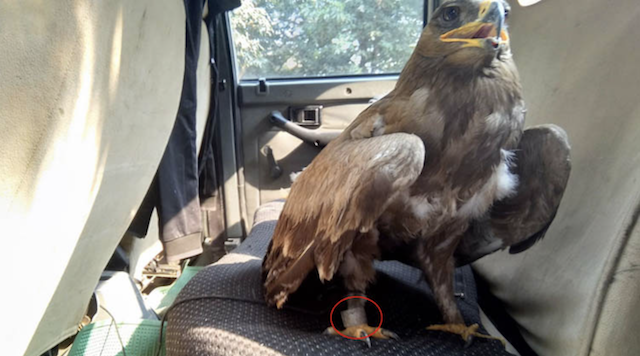 A local worker in Sanfebagar told Nepali Times she would be wary about flying in if single engine planes are used to connect the district to Nepalganj or Surkhet, and if the fares are too high. Single engine Cessna Grand Caravans are not allowed to carry passengers, only cargo, and these planes are used to service STOL fields in western Nepal. 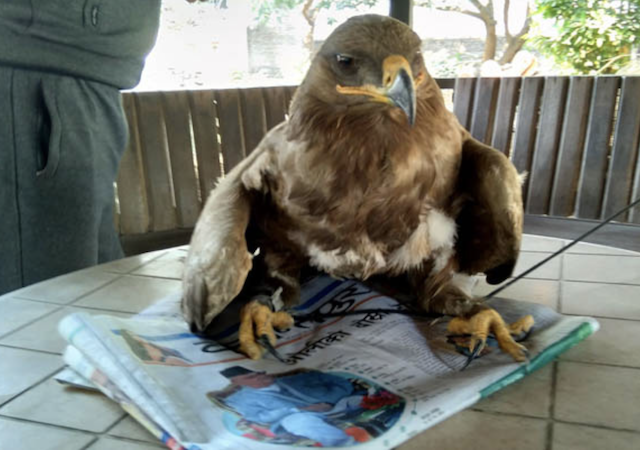 However, a new restaurant owner is happy the airfield is finally reopening after 15 years, and together with the construction of the 20MW Budi Ganga hydroelectric project would boost the economy of the region. The airfield could also service the nearby Bayalpata Hospital which caters to the medical needs of patients from six surrounding districts. Airport runner Bijay Bahadur Kunwar told Nepali Times the facility will be opened by end-April. Officials plan to offer one flight per day but the schedule will be known only after a tender is issued for airlines to offer flight services. “Demand should be sufficient to keep the airport operating because it will also serve surrounding districts such as Bajura, Doti, Kalikot and Dailekh,” Kunwar told Nepali Times. Currently, driving from Dhangadi is the fastest way to reach Sanfebagar from the East-West Highway which takes about eight hours non-stop. When Prime Minister KP Oli expanded his cabinet on Monday, he chose mostly old faces who have been ministers before — except economist Yuba Raj Khatiwada. Ishwar Pokharel, Ram Bahadur Thapa and Matrika Yadav have all been ministers in the last decade. Khatiwada served as Nepal Rastra Bank (NRB) governor and National Planning Commission (NPC) Vice Chair in the past, but he had never been a minister. Neither is he an elected member of parliament. 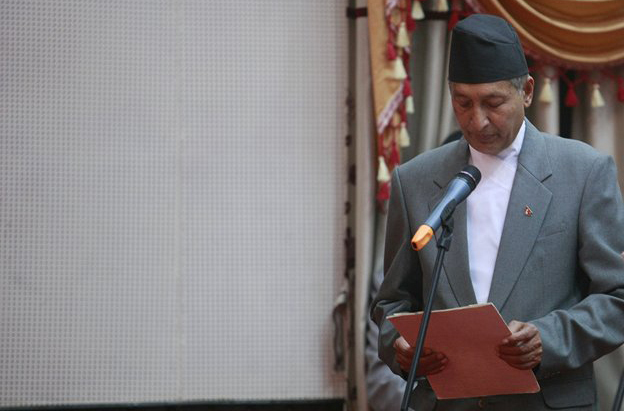 Oli appointed Khatiwada as Finance Minister, sidelining many aspirants for the post including Pokharel who eventually joined the government as Defense Minister. Khatiwada’s appointment as Finance Minister has been hailed by many as the right step taken by Oli towards saving the economy, which is in dire state in monetary, fiscal and macroeconomic terms. But others fear Khatiwada’s appointment as finance minister and his eagerness to regulate could negatively affect the real estate and capital markets. As the news spread about Khatiwada’s appointment on Monday, the share market dipped. Despite the new Communist government promising the much-needed political stability, the Nepse index had not really gone up, which share market analysts say was partly because of rumours that Khatiwada would introduce socialist measures as finance minister. Khatiwada is an advocate of the state acting as a regulator to the free market. In almost every one of his speeches or interviews, he has said: “Liberalism is not anarchism”. Which is why he has a reputation for being an ‘anti-liberal’ –- or even ‘a socialist’. When Khatiwada became the head of the Central Bank in 2010, Nepal’s real estate market was witnessing the biggest boom ever. Banks were investing up to 60% of their credit reserves in real estate, causing land prices to soar. 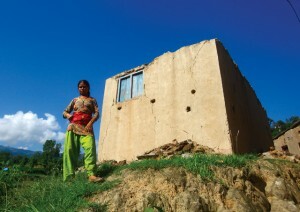 Khatiwada imposed a cap on real estate loans, bursting the real estate bubble. Speculators who had invested heavily in land for quick profits suffered, but the middle-class which wanted to buy land to build houses heaved a sigh of relief. Bankers even called Khatiwada an ‘authoritarian’ committed to reverse Nepal’s liberal economic. Nearly a decade later, banks have found ways to circumvent the NRB cap, and the real estate market is witnessing another bubble. Khatiwada is expected to take some drastic measures to regulate banks, restrict capital flow into the real estate market. The economy is now at an even worse condition than it was when Khatiwada was NRB governor. The trade deficit has hit an all-time high, there is the double whammy of current account and balance of payments deficits, remittance is down. The budget deficit has hit Rs 78 billion. It is easy to predict some of the measures that Khatiwada will take, but Nepal’s economy is in such bad shape that even he may not be able to save it. In a poignant and powerful video released on Saturday, popular UK-based Nepali blogger Lex Limbu shares his story about his sexuality, family and life. Shot in a point, shoot and express format with no script and lines, Lex bares it all in a 17-minute-long video posted on YouTube over the weekend. Limbu is unapologetically himself, being comfortably vulnerable and uninhibited in expressing his thoughts, challenges, fears and feelings. He opens up about being gay and how his family reacted when he first told them about himself. 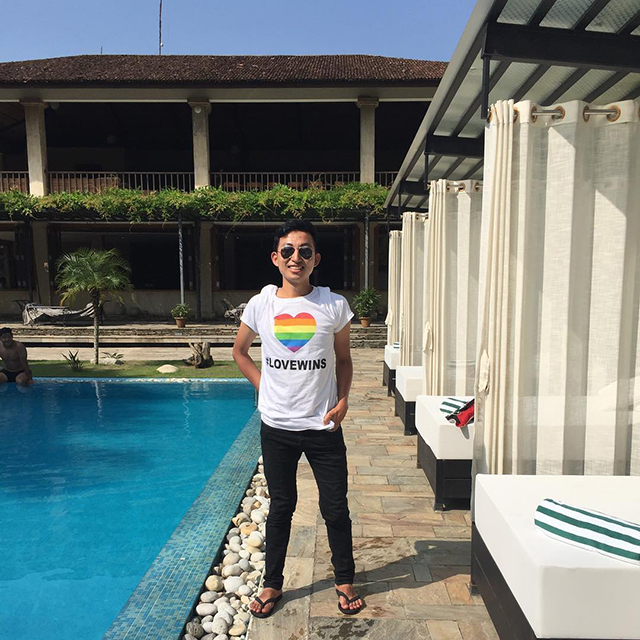 Drawing inspiration from the people he met from the LGBTQI community, Limbu has used social media to reach out to people to share his story, and talk about the challenges which many others can relate to, but may not be able to express. 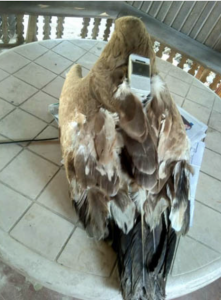 “I hope more people realise that we are not alone in the challenges that we are facing and most importantly, I hope this video encourages people to talk to someone regarding the difficulties that they are facing,” Limbu said in an email interview with Nepali Times. When shooting the video Limbu wasn’t worried about positive or negative reactions, his most pressing concern was, “what if nobody watches it?” He wanted it to be seen by as many people as possible to be able to start a conversation on the importance of being able to freely express one’s self and to live a life that is true to your nature. In the two days since its release, the video had already been watched more than 26,000 times on YouTube. Many shared it, praising his courage for coming out in public. It is slowly but surely generating a discussion on acceptance, acknowledgement and equality in the social sphere. Although Nepal’s new Constitution recognises the rights of LGBTQI, and a section of society is comparatively tolerant and open-minded, a considerable majority is still homophobic. Hence, many from the LGBTQI community are afraid to come out, fearing the worst. Limbu’s brave step in publicly coming out is surely going to help others like him in Nepal to come to terms with their own sexual identity, and accept themselves for who they are. But more importantly, it will also help the families, friends, neighbours and others associated to homosexual people to understand the fears and concerns of their loved ones. Since the video was released, Limbu says he has had an overwhelming number of people write to him. Messages of support and appreciation are pouring in from people who have shared their own stories with him, whether it’s about their sexual orientation or the challenges they have faced in their social and personal lives. Even after the UML-Maoist alliance won a near two-third majority in Parliament-Province elections three months ago, not many were sure this would translate into the much-promised political stability. Maoist Chair Pushpa Kamal Dahal was prodding his UML counterpart KP Oli to take turns at prime ministership, letting down voters who catapulted them to power in the hope that it would end political wrangling once and for all and usher in an era of prosperity. Dahal kept bargaining even after Oli was sworn in as new prime minister on 15 February. But Dahal made a sudden U-turn this week and agreed to allow Oli to complete his full five-year term. 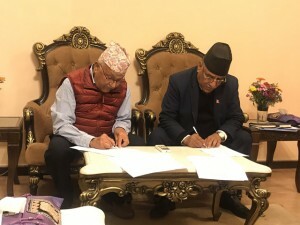 The seven-point unification deal signed by Nepal’s two largest communist parties makes no mention of any rotational prime ministership. The deal is also silent about Oli and Dahal co-chairing the unified party, but its seventh point states that the general convention will be held ‘harmoniously as a unity convention’. Analysts interpret this to be a tacit understanding that Oli will help Dahal assume leadership of the unified party. To summarise: Dahal has let Oli stay in Baluwatar for a full term in exchange for a commitment to eventually hand over party leadership to him. Technically, this also means Dahal can hope to be prime minister after the next parliamentary polls, but he probably knows it could easily happen before that because of Oli’s poor health. The UML-Maoist unification may finally ensure stability, but it has also raised a question about what kind of a party will be governing Nepal. Oli and Dahal both launched their political careers using violence, and both have now proven themselves to be shrewd at parliamentary wheeling-dealing as well. Dahal has distanced himself from Maoism, and Oli has not gone back to left extremism. The question now is: will the unified party be more like the UML or the Maoists? Dahal has climbed half-way up to take the UML saddle, while Oli is still riding. During his short first tenure in 2015-16, Oli inspired many Nepalis to dream of a Nepal that does not solely depend on India and maintains equidistance with China. He has returned to power as one of Nepal’s strongest prime ministers. He does not need to pay the nationalism card anymore -– just work to leave a firm legacy of nation-building. The UN would want to declare Nepal as the latest member nation to join the list of Developing Economies in 2018, but Nepal wants to remain in the Least Developed Country (LDC) category for a few more years. Nepal has officially requested the UN to not put it on the list of Developing Economies just before a meeting in March to review the status of each LDC and forward recommendations to the UN General Assembly. Nepal fears that it may lose foreign aid if it graduates from LDC status, and argues its economy is still vulnerable to various threats including natural disasters. Nepal recently sent a high-level delegation to New York to lobby with the UN-OHRLLS to not graduate it from the LDC category. A country has to meet three criteria to graduate from LDC status: at least $1,242 Gross National Income (GNI) per capita, above 66 score in Human Assets Index (HAI) and below 32 score in Economic Vulnerability Index (EVI). When the UN had last reviewed the status of LDC countries in 2015, Nepal had achieved more than enough HAI (68.7) and EVI (26.8) scores. If Nepal is found to have maintained its HAI and EVI rankings when the UN-OHRLLS meets next month, it will graduate from its LDC category – even if it fails to meet GNI per capita. Nepal has increased its literacy and Net Enrolment Rates (NER) sufficiently to maintain its HAI growth, and its EVI ranking has also improved over the last three years because of connectivity and export conditions. But Nepal argues that its GNI per capita was just $862 in 2017, and it will be unable to sustain HAI and EVI growth unless its national income grows. Nepal has also questioned the modality of determining EVI ranking, arguing its score should be less than was has been determined. The UN-OHRLLS looks into 12 indicators to determine whether a country’s economy is vulnerable, but it does not consider threats that Nepal’s economy has faced: earthquake, Blockade, flood and landslide. Nepal argues that its economy can be described as safe only after factoring in these threats. As an LDC, Nepal enjoys concessional loans, have export privileges, get technical support to expand its market and money for climate change adaptation. At a time when Nepal is hoping for more foreign aid to support new federal structure, it does not want to lose potential funding by being identified as a developing nation. 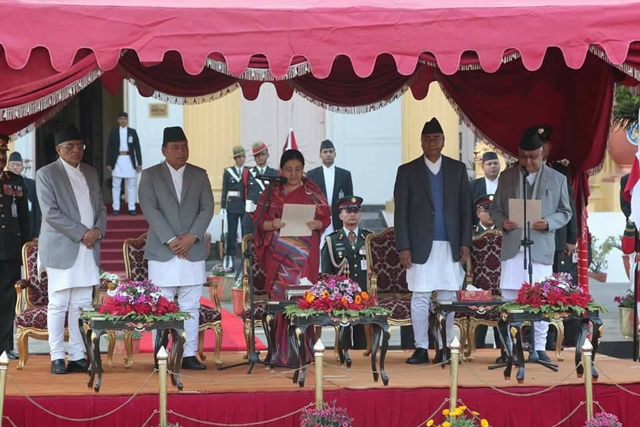 UML Chair KP Oli was sworn in as Nepal’s new Prime Minister on Thursday. He will now have to prove his majority in the federal parliament within 30 days, which will be a cakewalk because he is backed by CPN (Maoist-Centre) in the Left Alliance. Even though UML emerged as the largest party in the parliamentary-provincial polls two months ago, Oli’s entry into Baluwatar was delayed because the Election Commission published the results only after the Upper House elections. Oli himself was busy negotiating with Maoist Chair Pushpa Kamal Dahal about terms and conditions of the proposed unification between their parties. Dahal wanted to be the head of the unified party if he were to support Oli as the new PM. This week, Oli and Dahal intensified negotiations and finally reached a power-sharing deal: both leaders will be the co-chairs of their unified Nepal Communist Party. They also agreed to unify their parties before forming the government. But Oli hastily reached Shital Niwas on Thursday morning, officially informing President Bidya Bhandari that the Maoist-Centre backs his candidacy. The President then appointed him as the new PM immediately after caretaker PM Sher Bahadur Deuba resigned. Oli was named by the UML as its parliamentary party leader only after he was appointed PM. His inauguration was so hurried that the two leaders still need to sort out differences, and clear confusion. Maoists claim that the deal also requires Oli to resign and support Dahal as the new PM after two and a half years, but UML leaders have remained silent about it. So even if the country’s two largest communist parties eventually merge, cracks could appear within the ruling coalition midway through Oli’s tenture. This is the second time Oli has become PM in his four-decade-long political career, which began in the 1960s as a revolutionary inspired by India’s bloody Naxalite movement. When he became PM for the first time in 2015, the country was facing a humanitarian crisis because of the Indian Blockade. New Delhi was overtly putting pressure on Kathmandu to amend the new Constitution. But Oli did not capitulate to New Delhi, and he instead signed a trade and transit treaty with Beijing. Oli’s nationalist stance during the blockade increased his popularity, and people gave a near two-third majority to the Left Alliance. As India found no way to stop him from becoming the new PM, Indian Prime Minister Narendra Modi sent External Affairs Minister Sushma Swaraj as his special envoy to mend fences.